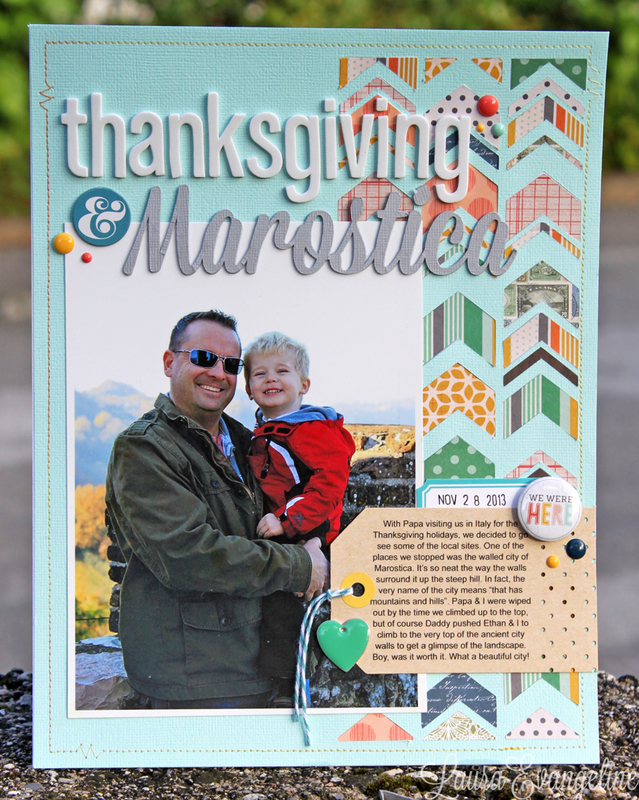 And here's my Thanksgiving & Marostica layout I've been giving peeks of the past couple of days. I love this color combination of fall. I think it's because I'm not quite ready to let go of the brightness of summer, but I'm loving the cool air and colors of fall.